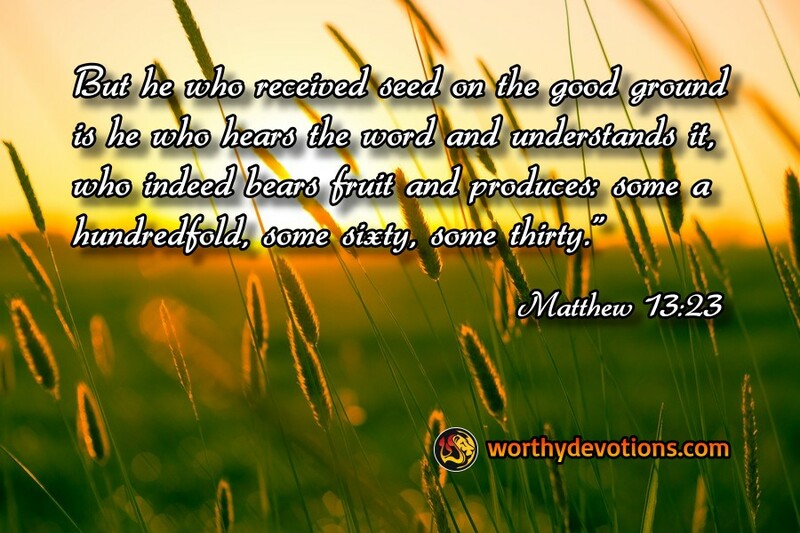 Matthew 13:23 But he who received seed on the good ground is he who hears the word and understands it, who indeed bears fruit and produces: some a hundredfold, some sixty, some thirty." God has readily made available to us the seeds of success. He gives us the opportunity to live a life of much fruit! A life abounding in the fruits of love, joy, peace, patience, kindness, goodness, faithfulness, gentleness, self-control. It's the time for blossoming!